*Are credit card transactions on MagusCoffee.com safe? Purchasing online, from Magus Hermes Coffee is absolutely safe. In fact, it is vastly safer, according to statistics, to use your credit card in Internet purchases than in a restaurant or department store. Magus Coffee servers use Secure Sockets Layer (SSL), which encrypts and protects the payment details, that you send. 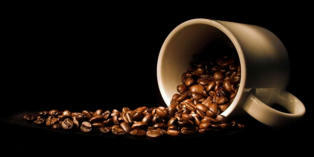 *Is it true that Magus coffee only uses natural ingredients? Magus Coffee products are an effective natural skincare treatment, precisely because of their unique formulation of ingredients. For instance we experiment with high concentrations of macademia nut oil, red algae, citrine, to reduce inflammation in the body, and improve overall health. The secret process that you use in creating your products, can you tell us a little about it? What we can say is that the process merges together ingredients, in exact measurements, to create the desired effects in making people healthy If you are not happy with your purchase from us, you can return it within 180 days of the date you received the item. The process is very simple. Just return the unused portion, of the product (s) with any seals and shrink-wrap intact, and we will issue a full refund for the price you paid for the item. If you return an item/s to us using a pre-paid, personalised return label, and the reason for the return is not because of an error on our part, and the item is not defective, we will deduct the cost of return postage from your refund. You can contact us at virtually any time 24 hours a day, 7 days a week If you require a refund or support with your purchase. Please email the departments below.